Kris Kristofferson is an American country music singer-songwriter. 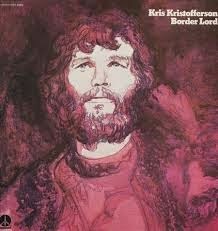 In 1971 Kris Kristofferson made his acting debut in the film The Last Movie, and then starred in Cisco Pike in 1972. The same year he released his third album. Unlike his first two, which had both featured songs that had already been recorded by other artists (many of which had been hits), Border Lord featured entirely new songs. Also when compared to the first two (which featured strings and rather lush arrangements in places), the sound of the album was notably dry and gritty. Sales were slow overall, but the song "Josie" did break into the Top 100 when released as a single, charting #63. A modest position, but with his songwriting successes and new burgeoning acting career Kristofferson was doing fine.